Embark on a journey of discovery at The London Coffee Festival, celebrating London’s vibrant coffee scene and its creative subcultures. Rub shoulders with burgeoning start-ups, industry pioneers and long-established companies to a soundtrack of live DJs and musicians. From specialty tastings to industry talks, artisan workshops and showcases from world-class baristas, the party is on. Now in its ninth year, The London Coffee Festival is Europe’s largest gathering of coffee aficionados, and this year, it’s set to be bigger than ever. Over 250 exhibitors and 30,000 coffee lovers are expected o join the celebration over four days. From coffee pros to average Joes, there’s something for everyone with a penchant for coffee, food, music and art. Dreaming of pouring the perfect glossy rosetta? Or simply head over heels for milky coffee? Good news: Latte Art Live is back, bringing the world’s top latte art specialists along with it. You’ve seen them on Instagram, and now they are at work right in front of you; expect a series of throw downs, showcases and hands-on workshops. That and a lot of free coffee. If you want to take a step further and get into the nitty gritty of coffee, there’s plenty of opportunity to learn about coffee in all its forms, from bean to cup and everything in between. Head to The Lab for an exciting line-up of live interactive demonstrations, workshops, talks and artisan tastings. There’ll be fun and educational sessions to inspire and entertain, tastings and talks on everything from tasting craft beer to creating your own Scandi brunch. This year the festival will welcome world-renowned chef and gastronomic ground-breaker Ferran Adrià will be attending The Lab on Friday with a talk on his ‘Sapiens’ methodology – a pioneering framework that inspired Lavazza and ElBulli Foundation’s ‘Coffee Sapiens’. Visitors are also encouraged to book into one of the Tasting Room sessions, where they can get hands-on in small groups for an experiential tasting workshop. Led by industry experts these extra classes can be booked individually and cover everything from wine pairing, coffee in cocktails and pairing plant based with coffee. Crank up your coffee geek setting one more notch and take your seat for Coffee Masters. Returning for the fifth time, this prestigious competition takes coffee to the highest level. The UK’s top 20 baristas will ​go head-to-head over four days of competition for the coveted title of Coffee Master and a cheque for £5,000. It’s the ultimate test of skill, innovation and creativity and – let’s face it – a real crowd pleaser. New this year is The Mindful Coffee Tasting Experience. A brand new multi-sensory experience, festival goers can immerse themselves and appreciate coffee in a new and mindful way – with meditation brought my Just Breathe. 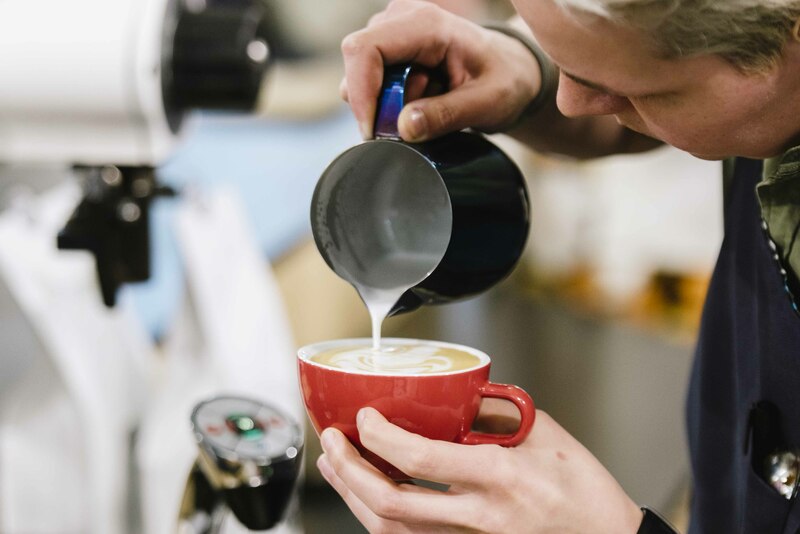 The London Coffee Festival comes shortly before UK Coffee Week (29 April – 5 May); a national celebration of the UK coffee scene, founded to give back to the communities that make our love for coffee possible. Both the festival and UK Coffee Week support Project Waterfall, a charity initiative where 100% of proceeds go towards providing clean drinking water and sanitation to the world’s coffee growing communities. Last year, over £100,000 was raised at The London Coffee Festival.